Is Dallas’ Ezekiel Elliott Being Targeted by the NFL? To summarize the situation surrounding Dallas Cowboys running back Ezekiel Elliott as a mess would be an understatement. From false testimony to withholding information to a six-game suspension, Dallas’ season and Elliott’s brand will be on the line early next week when the NFL Players Association seeks a motion to postpone Elliott’s suspension and possibly overturn it. That motion follows a report which surfaced last week that the NFL used informal measures to suspend Elliott over a domestic violence case reported before last season. Whew! Elliott has been no choirboy since entering the league after a storied college career at Ohio State. But despite a string of questionable decisions since becoming a pro, the NFL hasn’t had any concrete evidence to pin on him. The NFL is instead using a sketchy abuse case to slap the 2016 NFL Rookie of the Year with a significant ban. This case has been a roller coaster, but is Elliott being targeted by the NFL? Perry Green and Stephen D. Riley of the AFRO Sports Desk debate debate this important question. Riley: Dallas Cowboys fans definitely think Elliott is being targeted, and they may have a point. The background surrounding this whole story has been a mess since day one. 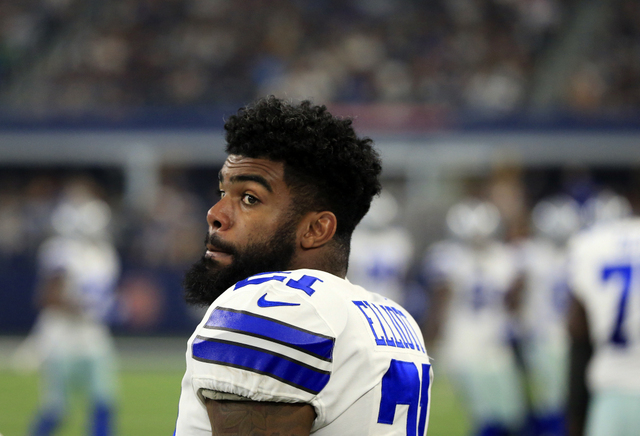 Information that was provided to authorities from Elliott’s accuser never matched witness accounts, and even the NFL agreed that Elliott’s accuser lied to the police. Elliott’s other actions during his explosive rookie season, from pulling a woman’s top down at a public St. Patrick’s Day parade to visiting a marijuana dispensary, all made people scratch their heads, but the direct cause of his six-game suspension was an absolute joke. Again, Cowboys fans and possibly all NFL supporters should be concerned. Green: Unfortunately for Elliott, the NFL has its own personal conduct policy which it uses to govern players’ behavior, whether the legal system files criminal charges against them or not. It may not be fair, but it’s what the players agreed to during collective bargaining negotiations. While Elliott has avoided legal prosecution thus far, the NFL demands that its players exhibit behavior and conduct that does not damage the league’s brand. Elliott’s six-game ban might have originated from a domestic violence situation, but it was really a culmination of all of his TMZ-worthy behavior. Riley: Then the NFL needs to re-examine its policy. Only in the NFL is it acceptable to punish a player despite the absence of legal action. The Dallas star on Elliott’s helmet and his popularity among fans and analysts is clearly being used against him. 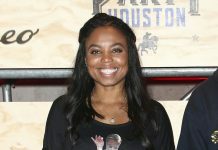 Police have records of Elliott’s accuser threatening to ruin his career, lying to authorities and even texting an associate about possibly blackmailing him using personal videos captured on her cellphone. Despite that evidence, the NFL still slapped Elliott with a suspension. It’s a classic case of guilty until proven innocent. Green: Some type of inappropriate incident happened between Elliott and his accuser, but investigators haven’t been able to identify it. Elliott’s casual pulling down of that woman’s top on camera at the parade was a hint of how reckless he could be. According to police findings, I don’t personally believe he became violent with his accuser, or that anything malicious happened, but there’s a strong probability that some type of incident occurred that shouldn’t have. The suspension might have been a bit excessive, but so has Elliott’s behavior for the last few years. With the NFLPA motion looming, we’ll learn soon enough if Elliott is really at fault. Whatever way this case plays out, Elliott needs to do a better job of keeping his name out of the wrong headlines.